Opinions are an interesting thing. We can have a response to art at one time in our life that is a certain way and then at another it strikes us completely differently. 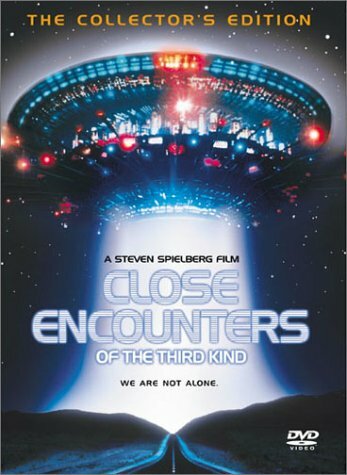 So was my experience with Close Encounters of the Third Kind. Directed by Steven Spielberg when I saw it in my 20s I was bored. I don’t know if I was expecting a movie like Independence Day with alien action (which ironically bored me on the rewatch) but at the time it seemed boring. Now as a grown up adult I look at it and scratch my head at my earlier thoughts. How could I possibly think this movie was boring? It has so many characters and so much going on that it almost feels a little disjointed at times (especially in the beginning). Isn’t that funny? A completely 360 degree turn around for me on this film. Who knew! I think what really struck me this time around was its commentary on media and communication. Perhaps it is just seeing the Republican Convention and the Democratic Convention starting, but I’ve seen so many people passionately trying to explain what is crystal clear to them (including myself I might add) and being told they are insane in response. 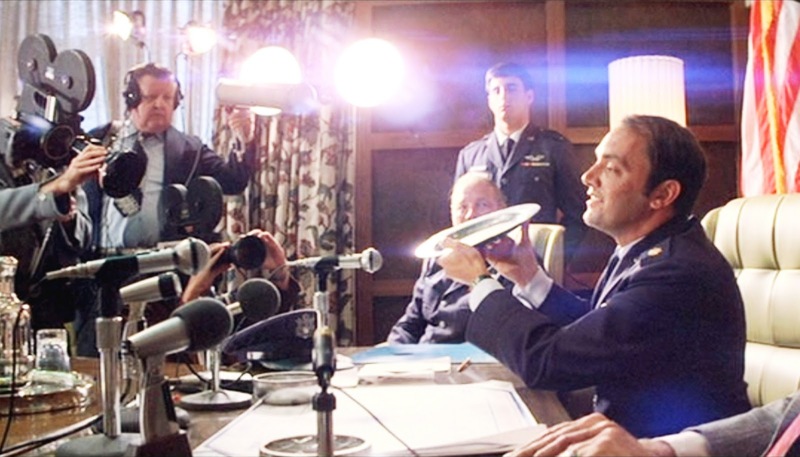 There are so many scenes like that in Close Encounters. People know what they saw. They sometimes have the scars to prove it and yet they are told they are delusional. Richard Dreyfuss is so good as an electrician who has a UFO encounter and his wife and others won’t believe him. He gets more and more manic as the signs grow and that makes people push away from him even more. The same thing happens with Melinda Dillion’s Jillian who’s son is taken by the spacecraft and people still don’t believe her. We as the audience have seen the spaceship in bright technicolor so we know they are right but the other characters either ignorant (lots of scenes of people playing unaware of situation), or chose to not believe and some lie. Is that not also how communication is today more than ever? We either don’t know, chose to not believe or we are lied to and that goes for both sides of the political spectrum. John Williams score is so great in this; although I did think the ending with the music was a little silly. In fact, I don’t know if I needed to see the aliens at the end because they weren’t really what the movie was about. Still, it’s not a huge problem. My best shot is probably a strange one as there are dramatic shots of spaceships I could pick but my pick goes back to this commentary on media that impressed me. It’s a news conference where the leaders are trying to explain away what the people know they have seen. I think the way this guy is holding up the plate mocking their concerns shows how we often do the same today with people who hold passionate views different than our own. Nathaniel at The Film Experience is doing a week-long series of best shots for the 1977 Cinematography nominees, so Close Encounters best shots will be posted today, and the rest on proceeding days. None of the others sounded very interesting to me so I’ll probably just stick with this but you should check out the blog for the posts.